Close to the French coast, Guernsey is an island in the English Channel. With beautiful beaches and interesting historical sights Guernsey is a fantastic place to visit. A quiet holiday in Guernsey could be just what you need! 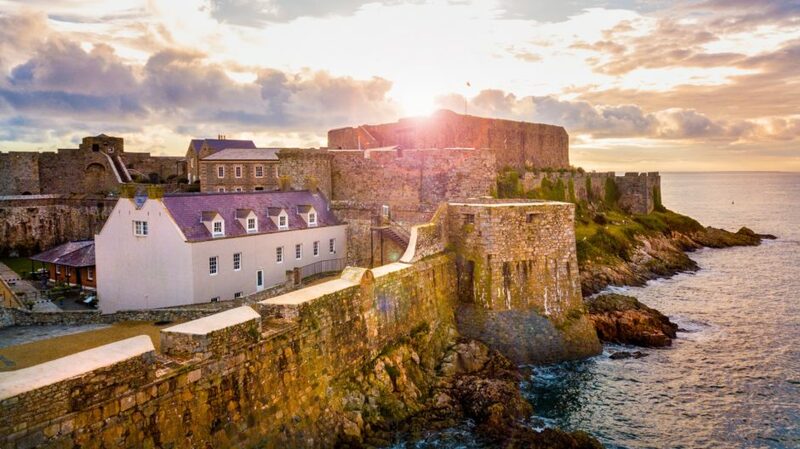 So let’s take a look at the top places to visit in Guernsey. Off the Coast of Guernsey is a little island called Herm island. Herm island has some beautiful beaches with Shell Beach as its prime attraction. Shell Beach is a long stretch of golden sandy beach perfect for a family day out. In the summer temperatures are moderate making it one of the nicest places in Guernsey for a swim. Taking a picnic on the beach, a typically British past-time is always nice and when the tide goes out the rock pools that appear are particularly fascinating for children to explore. Guernsey is known for its beautiful gardens that bloom in spring. Candie gardens historic gardens date back to the late 19th century. Visitors can enjoy images of beautifully colourful flowers from all over the world and historic British statues such as one of Queen Victoria. Tours around the gardens are fantastic. In the centre of the gardens, Candie house is a very interesting spot offering nice views of the gardens and neighbouring islands from its terrace. Historians and Florists alike will appreciate the rare Victorian Flower Garden which has been well maintained. The 800-year-old castle is set on a piece of land jutting out into the sea. The unique location makes for a peaceful walk around the grounds. Visitors will experience impressive scenes including some great vistas over the sea of the surrounding islands. Castle Cornet features a total of 5 museums to explore and 4 gardens that are all very much worth visiting. The fort and its remains are very interesting and the museums help one understand the history of the region. Dating back to 1914 the little chapel is one of Guernsey’s most interesting historic sights. The unique chapel is one of the biggest tourist attractions in Guernsey situated in a quaint little valley which adds to its charm. The chapel is tiny and can only fit around 8 people inside but what it lacks in size its make us for in beauty. The Little Chapel features stained glass windows and its surface has been decorated with broken china, stones and shells giving it a colourful and pretty mosaic like exterior. The Little Chapel is currently undergoing some renovations and will likely be closed until the end of March this year. Another interesting historical site is the German Military Hospital. The Channel Islands were taken by the Nazis during World War 2 and an underground hospital was constructed by the Germans in the 1940s. The Germans also used this place to store ammunition and was so well-hidden underground it not possible to spot from planes above. This tunnel complex is the largest structure that remains from the times of the German occupation in the Channel Islands making it a fascinating place to explore. Posted in Luxury Travel. RSS 2.0 feed.